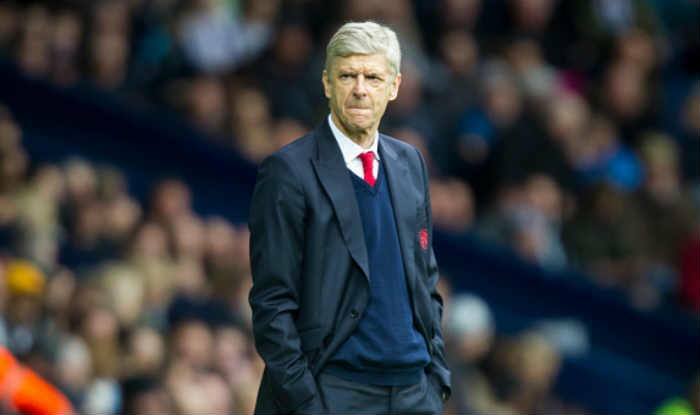 Legendary football manager Arsene Wenger, who coached Arsenal for 22 years, including one entire season undefeated. Legendary football manager Arsene Wenger, who coached Arsenal for 22 years, including one entire season undefeated, will be attending the Laureus World Sports Academy in Monaco next week. Wenger is one of a classic group of legends and current players from the football world, including Laureus Academy members, ambassadors and guests, who will be present when the greatest sportsmen and women from 2018 are honoured. Joining Wenger will be Cafu, Fabio Capello, Didier Deschamps, Luis Figo, Alessandro Del Piero, Carles Puyol, Mikael Silvestre, Patrick Vieira and Fredi Bobic. Plus stars of the women’s game Kosovare Asllani and Alex Scott. There is a strong turn-out of winter sports nominees following the Pyeongchang Olympics, headed by Lindsey Vonn and including Henrieta Farkasova, Anna Gasser, Brian McKeever and Bibian Mentel-Spee. They will be joined in Monaco by Laureus Academy members, skiers Maria Hfl-Riesch and Franz Klammer, and two-time Olympic figure skating champion Katarina Witt. Other Laureus Academy members who will be present are Giacomo Agostini, Marcus Allen, Boris Becker, Sergey Bubka, Fabian Cancellara, Nadia Comaneci, Emerson Fittipaldi, Sean Fitzpatrick, Dawn Fraser, Cathy Freeman, Tanni Grey-Thompson, Marvelous Marvin Hagler, Tony Hawk, Mike Horn, Chris Hoy, Tegla Loroupe, Edwin Moses, Nawal El Moutawakel, Alexey Nemov, Lorena Ochoa, Brian O’Driscoll, Morn du Plessis, Hugo Porta, Steve Redgrave, Monica Seles, Mark Spitz, Daley Thompson, Li Xiaopeng and Deng Yaping. Other nominees in Monaco are marathon star Eliud Kipchoge, young Jamaican sprinter Briana Williams, triathlon’s Daniela Ryf, surfers Stephanie Gilmore and Maya Gabeira, motor sport’s Ana Carrasco, Indian wrestler Vinesh Phogat and Paralympic stars Diede de Groot, Grigorios Polychronidis and Markus Rehm.